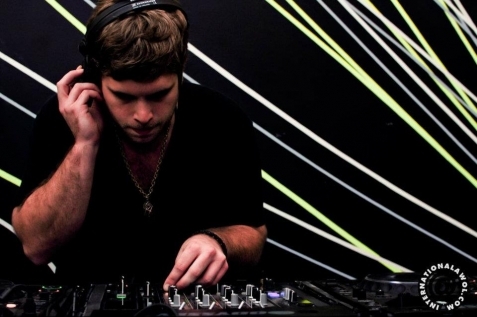 Marko Peli is a DC based DJ. As a house head he caught the bug young and at fourteen set off on a mission, mastering the decks. Back then it was a kid with a couple vinyl turntables and some passion. Now, while the tools may have changed, the fire still rages. Since those early days, he's been around the block, sharpened his skills, and evolved into the musical force he is today. Now, at 25, he's played across America at some of the most underground and premiere venues. His sound undulates with funky deep and soulful vibes drawing inspiration from all aspects of his life. From his first induction into the scene as a 15 year old kid snuck into clubs in Greece and DC, to dusty discovered vinyl collections, through deep playa sunrise sets. From his time as 1/2 of the duo known as godBrother, thru all the classics and people that showed him what was what in the first place. His is a refined and evolved sound that is sure to get you moving.